There are 3 reviews of Dandelion. Does not smell like a real dandelion at any point, though it vaguely reminds me of one in the first few seconds after application.Real dandelions are not only floral but also bitter, which this definitely is not. It does evolve slightly over time; after an hour or so, it reminds me a little of Bellodgia's drydown. At all times it's light and sweet and a little bit creamy, and cheerful. I find it pleasant and can't imagine anyone finding it offensive. Nice for late spring when there are so many real flowers in real life to smell that you wouldn't want anything to compete and fall short and smell hopelessly fake in comparison, but still want something springy on your wrist. I think it would make a good gift scent for a young girl . . . so long as she doesn't want to smell like actual dandelions. The aroma of a dandelion flower is very light, a bit floral with a sour sharpness to it – when I was young I thought, “This is what a weed smells like.” But that wasn’t a condemnation: I enjoyed that aroma as I enjoy most of nature’s aromas. I even liked the bitter odor of the white sap that comes from breaking the stem of the dandelion. 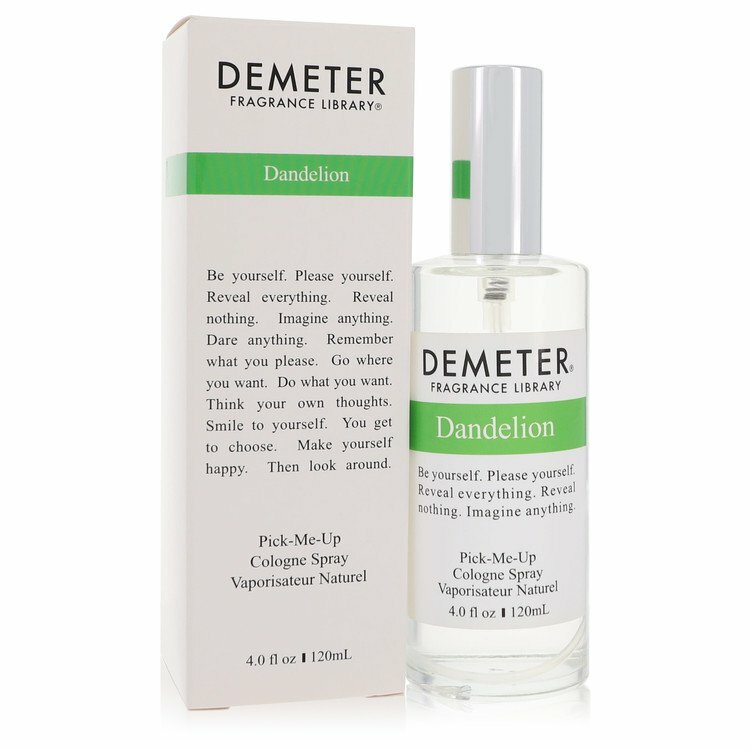 This fragrance doesn’t have much of either of those: Demeter’s Dandelion is of grass and lawns with a few generic flowers off in the distance. It is very green and fresh, and I find it somewhat stronger than many of the other Demeters. It’s a nice fragrance – it is meant to please, but it doesn’t care much for truth or acceptance. There are better grass scents that last longer, and that’s fine, but what I would really like is for this one to smell more like dandelions. There are no member images of Dandelion yet. Why not be the first?